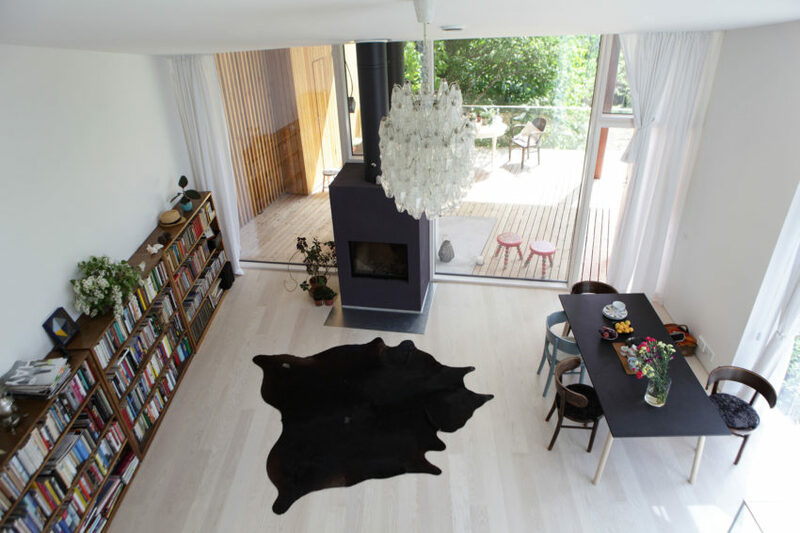 House M-M is an elegant home located in Helsinki, Finland. 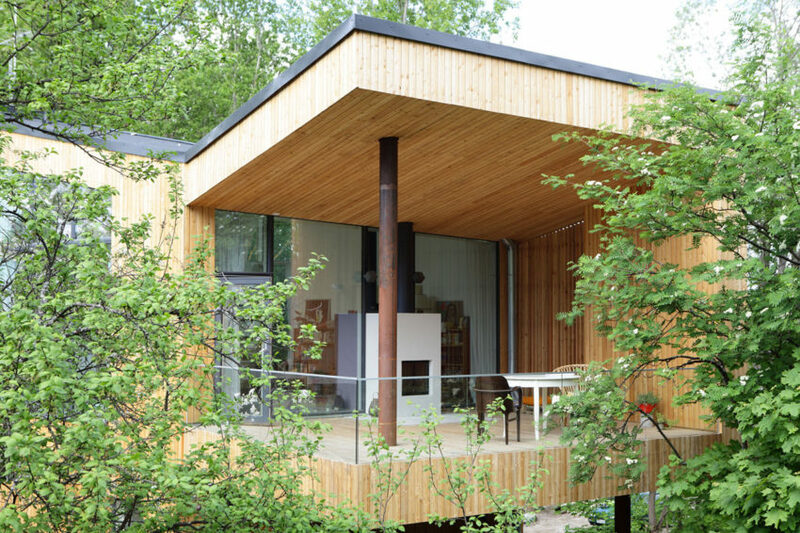 It was designed by Tuomas Siitonen Office in 2013. “Someone should pick the children up from day-care; the grandparents would appreciate a visit; who’d have time to cook and help with the homework? What if the whole family lived together, on the same plot, even under the same roof? 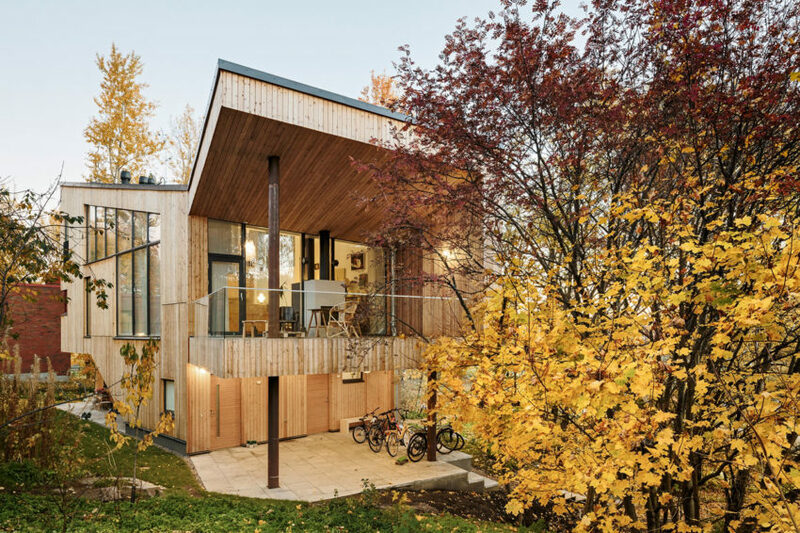 Finnish actress Vilma Melasniemi and actor Juho Milonoff wanted a home where the entire family, including grandparents and great-grandmother could spend their time together. They were looking for space for the family and friends to be together, but also for the chance for everyone to have some privacy and their own room. That way the grandparents could help with childcare and great-grandmother would have company and a feeling of security. A place was found on the plot of mother Vilma’s parents’ home in Helsinki’s Oulunkylä. 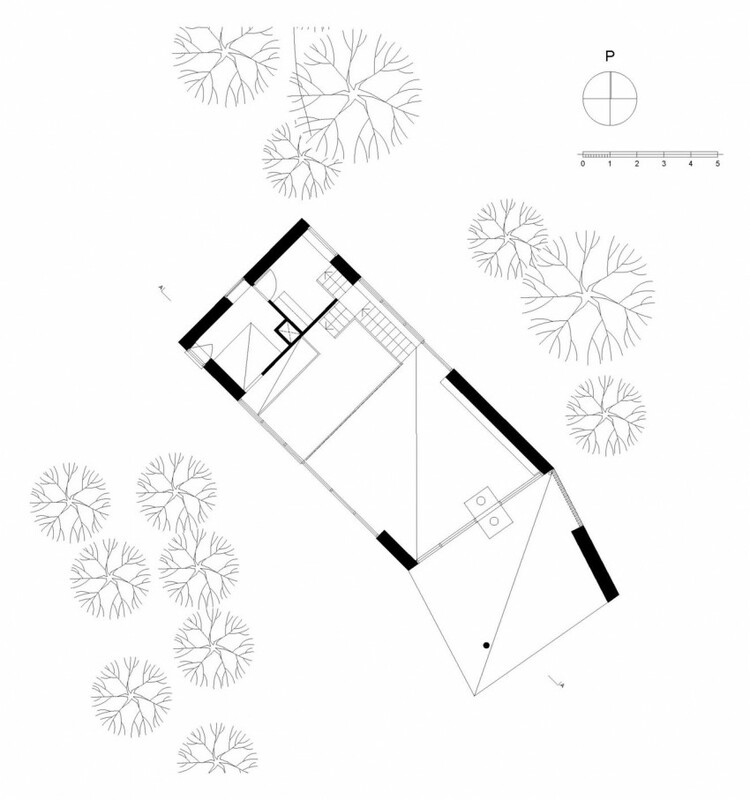 The location of the 100-year-old house – in a garden of apple and lilac trees with a steep north-facing slope – imposed its own demands on the design. 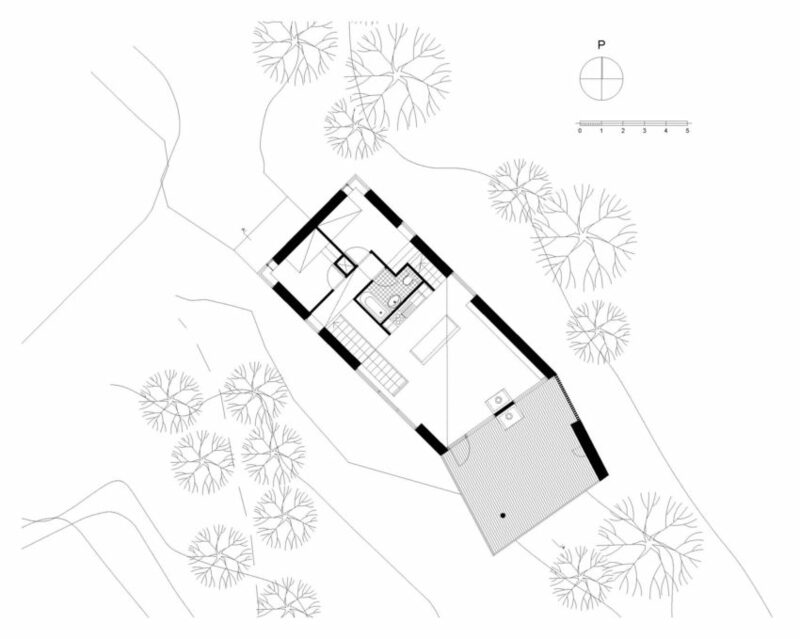 What was wanted was a house that would be contemporary and yet homely and full of character, that would respect its surroundings and the site’s natural features but would still constitute a clearly self-contained whole. The new home was designed with two apartments. 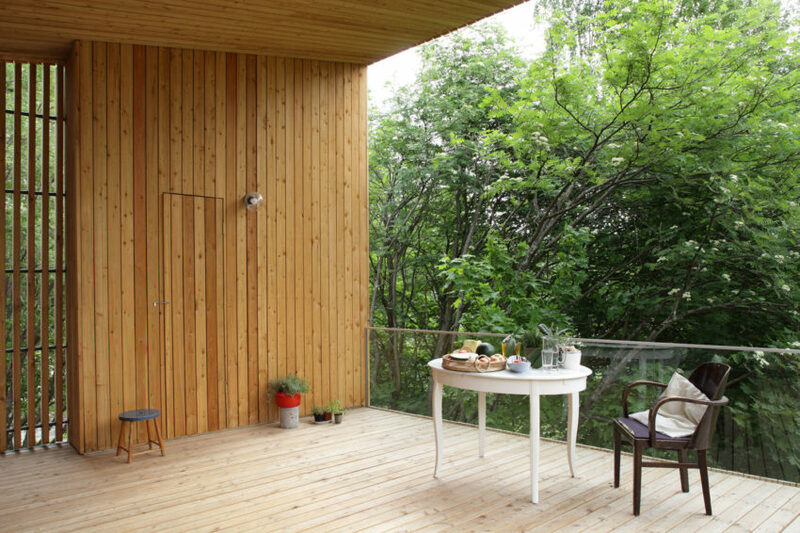 The lower storey is a level-access studio-apartment for Vilma Melasniemi’s 91-year-old grandmother. The ground floor also includes sauna and utility spaces. 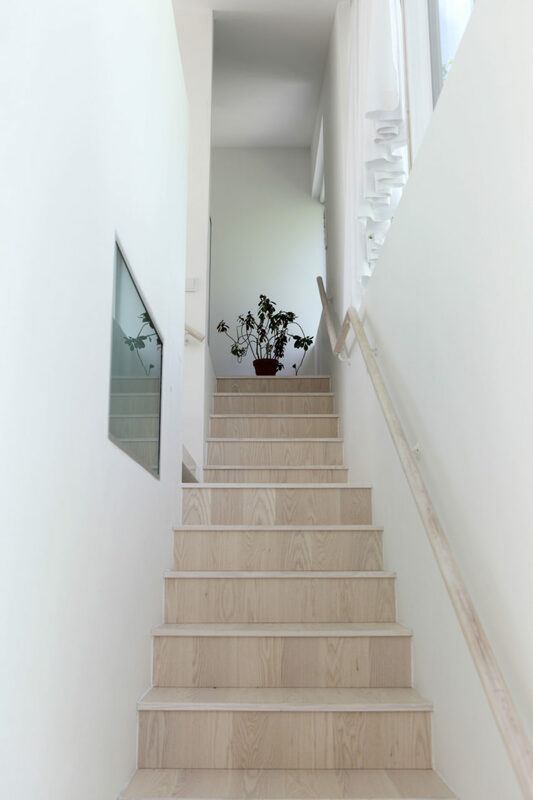 The 120 square-metre (1,292 square-foot) apartment upstairs is the home of Vilma Melasniemi and Juho Milonoff and their 8 and 11-year-old children. 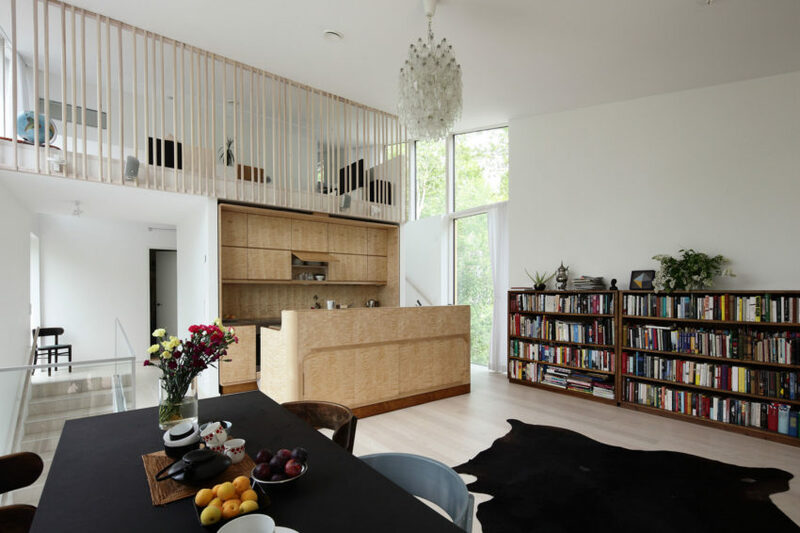 The upstairs is comprised of a large reception room and a kitchen, made to measure in flamed birch, that serve as the whole family’s living space. 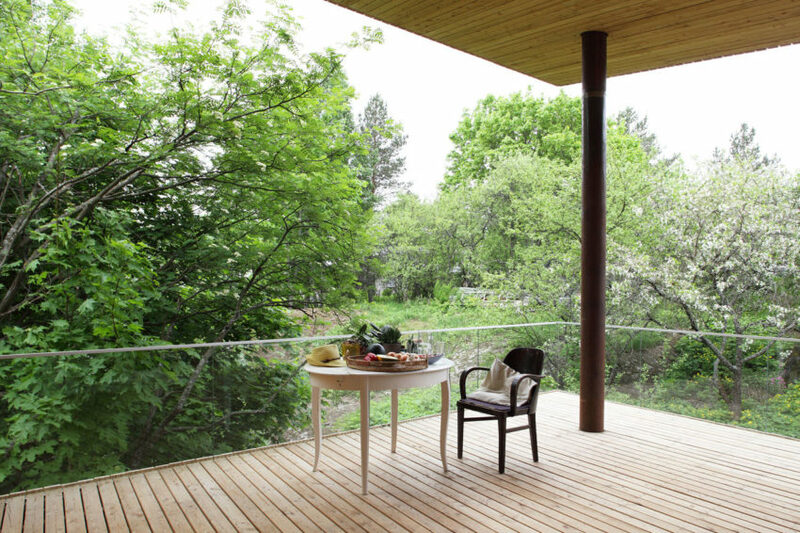 In the summer this extends effortlessly outdoors via a large terrace. 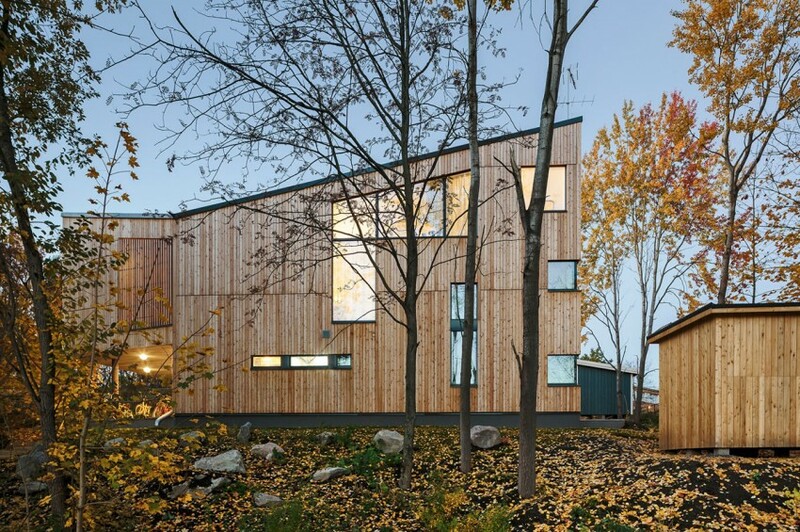 The three-storey building sits comfortably on the slope, the large windows bringing in the green outside and creating a feel of a tree house. 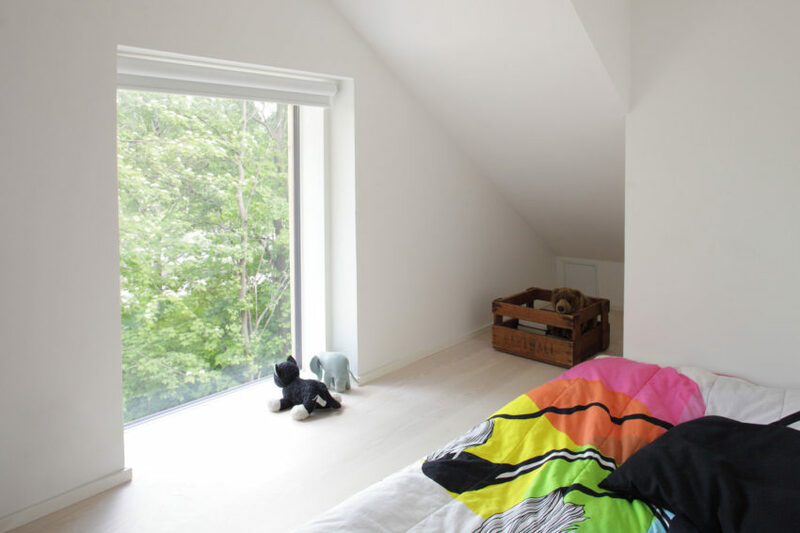 The tree house-like atmosphere is enhanced by the loft space situated over the kitchen and the stairs leading to the master bedroom with its view over the tree tops. 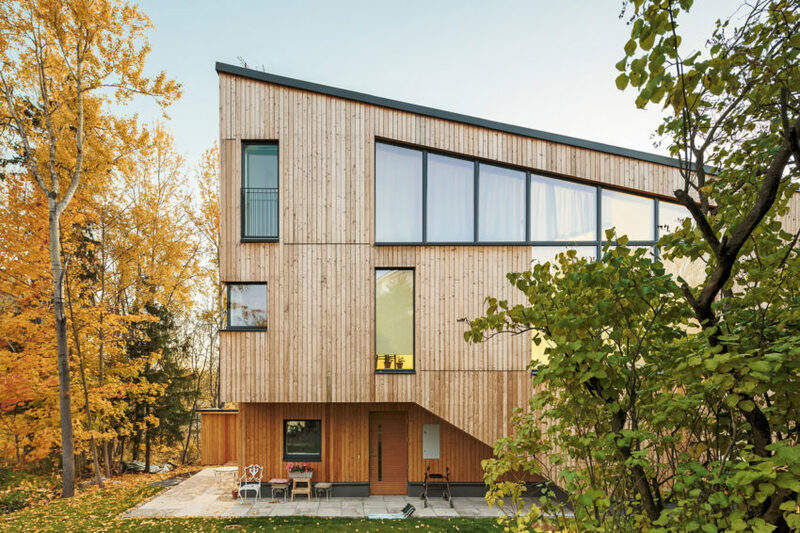 The exterior of Siberian larch changes with the seasons and will gradually turn grey. 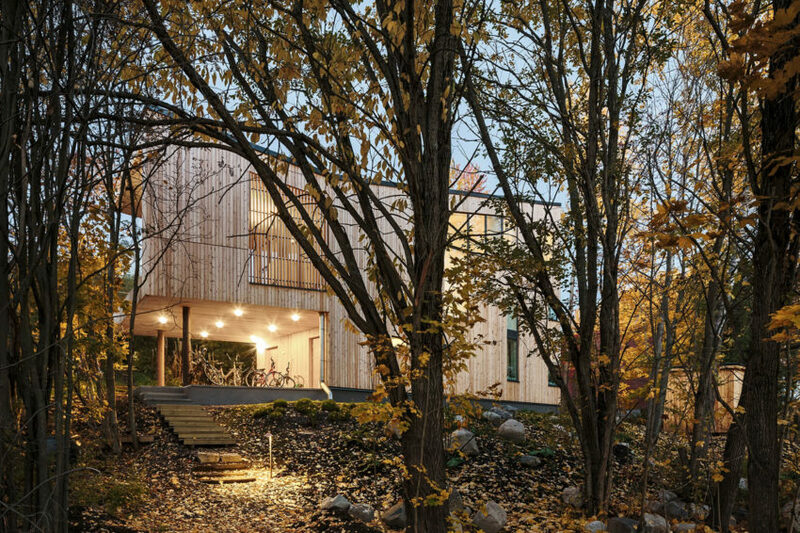 Mother Vilma Melasniemi’s parents continue to live in their wooden villa on the same plot. 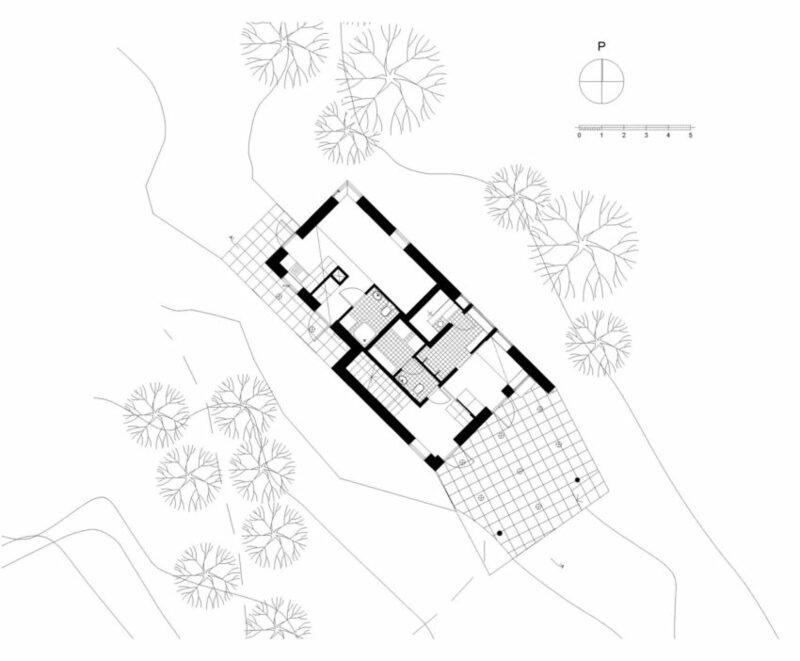 Because the roof of the new building dips in the middle, it does not affect the familiar view from the villa to the rising slope across the plot. The footprint of the new-build follows the shape of the slope and creates a bend making the garden more intimate and shielding it from the public roadway. 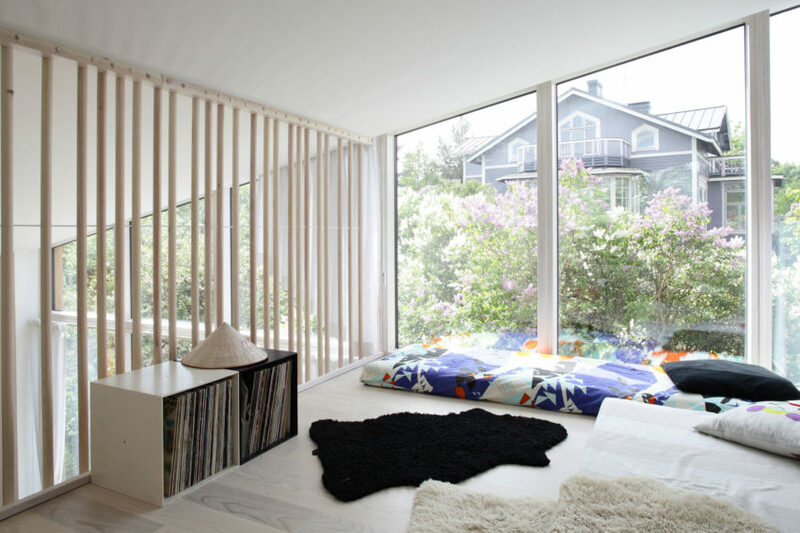 One important consideration was the building’s ecological sustainability. 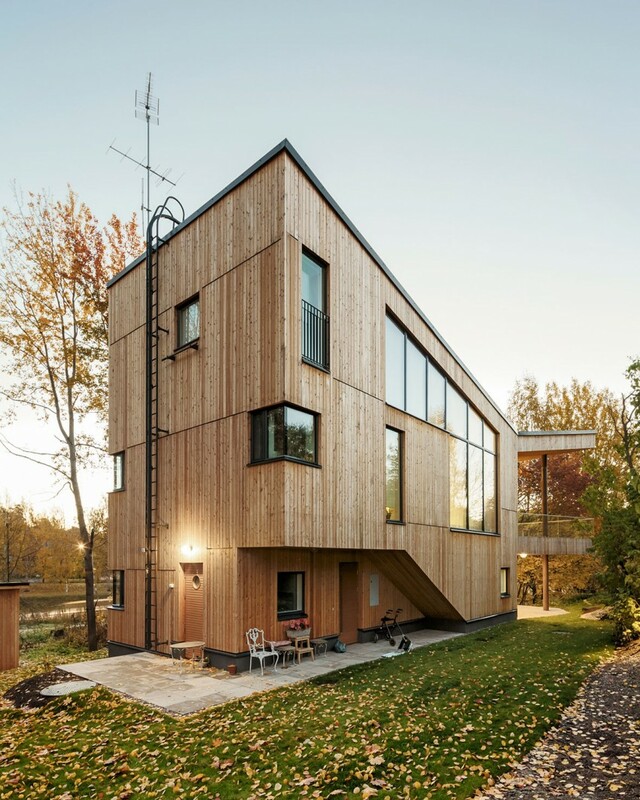 Most of the building is made of wood. The building has floor heating coupled to ground-source heat so stand-alone radiators are not necessary. The energy needed for cooling in the summer also comes from ground-source heat. Because of its large south- facing roof space, in the future it will also be possible to make good use of solar energy. 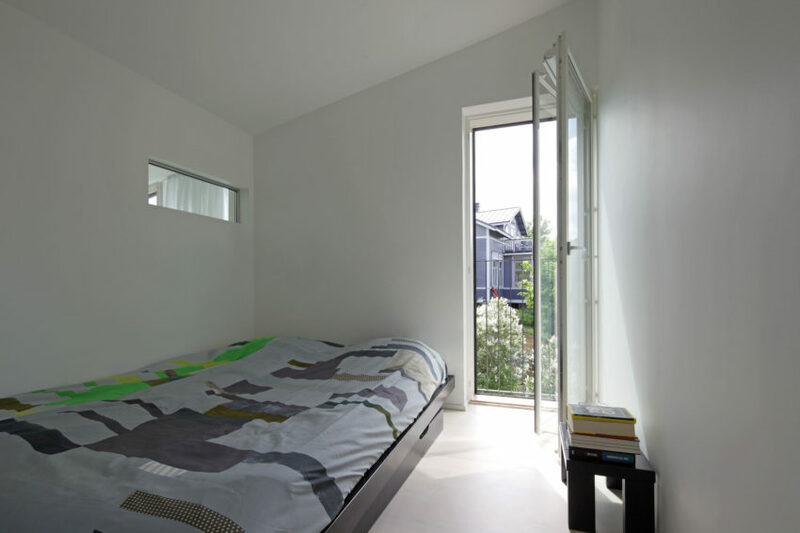 “The large windows bring light and warmth right into the house. The exterior doesn’t need maintenance and the open fireplace heats up with wood from our own plot. We travel to work and into town by train. We believe these are sustainable solutions. One good home in a lifetime is enough!” says Vilma Melasniemi.